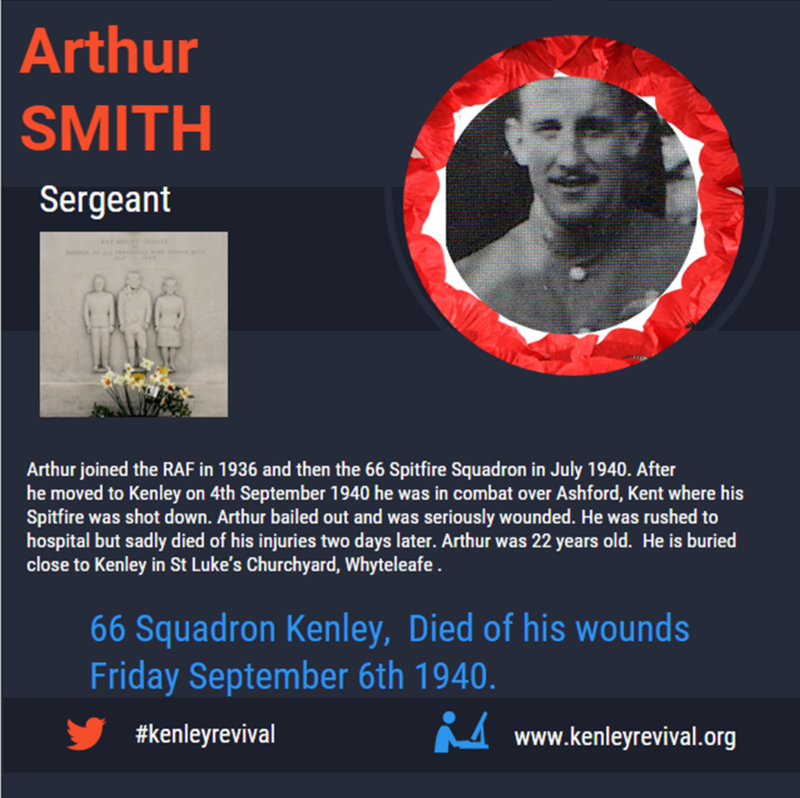 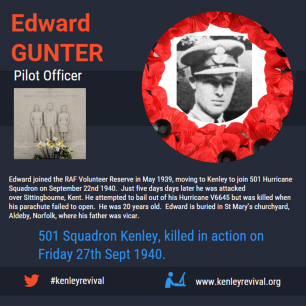 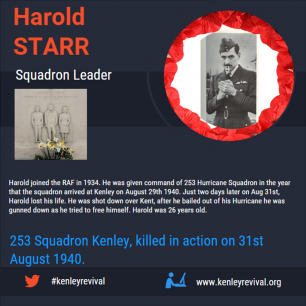 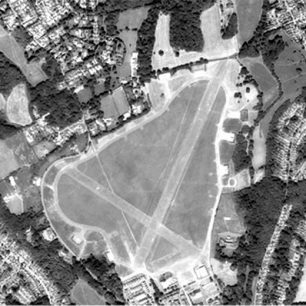 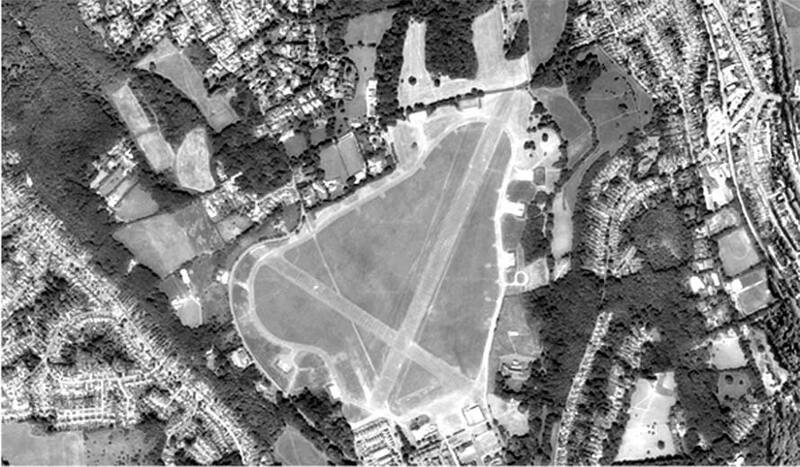 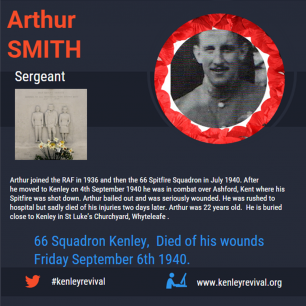 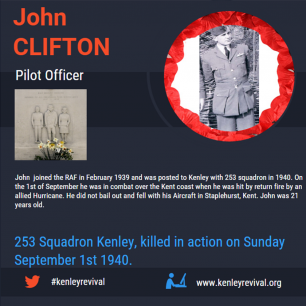 To commemorate Remembrance Sunday Kenley Revival Project have worked with a member the Kenley Airfield Friends Group to create info graphics detailing the lives of 7 Kenley pilots who served during the Battle of Britain and their service as a symbol of lives lost in conflict. 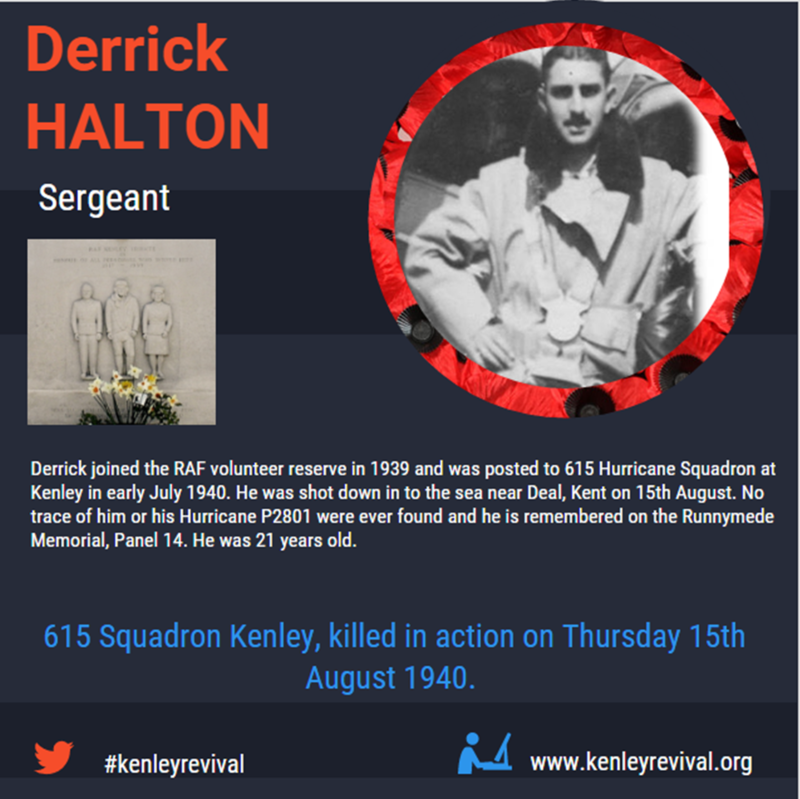 This will be shared on our social media accounts and on our website from Monday 7th November until the commemoration event on the airfield on Sunday 13th November. These will be released at 11am Monday-Sunday on our social media accounts and in our ‘stories’ section of the website.